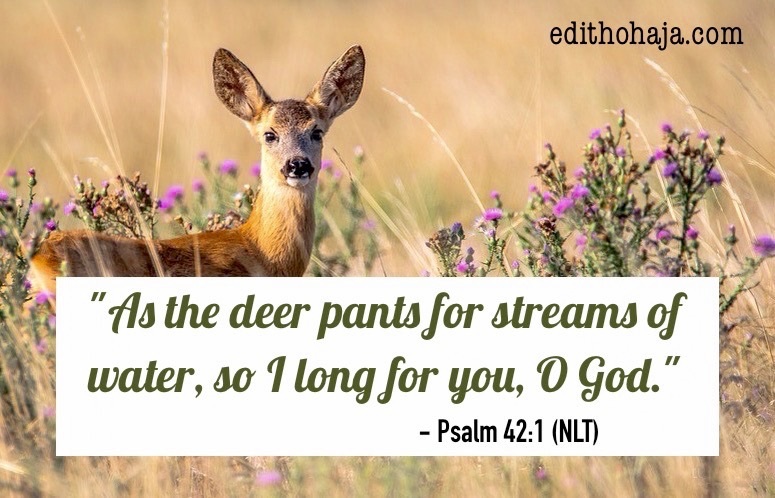 Many of us often sing the song, “As the deer panteth for the water, so my soul panteth after Thee, You alone are my heart’s desire and I long to worship You ….” But often, it’s a fleeting sentiment and we wonder why we don’t feel that way all the time. This reflection explains how you can sustain the feeling and grow intimate with God. Read and be blessed in Jesus’ name. We often admire those who are sold out to God, who seem lost in Him and who are single-minded in His service as Jesus and the apostles were. The purity of their lives challenges us. We wonder how they manage to stay above the entanglements of this life, how they can be immune to the allurements of the age they live in that cause other people to compromise their faith and conform to the world. In the case of Jesus, His detachment from the standards and ways of this world was such that the Jews often misunderstood His words. This is more evident in the gospel of John than in the others. Only those who shared His love for the Father and vision for the salvation of the world could make sense of most of what He was saying. The question is: How can we be like Jesus, the saints and prophets of old in this regard? How can we be deeply intimate with the holy God? How can we be abandoned to Him that as Oswald Chambers puts it, we readily give our “utmost for His highest”? Intimacy with God begins with a hunger for His presence. Nothing else seems to satisfy. And the more we experience Him, the more we want of Him. That is why Moses who’d been speaking with God face to face as a friend still demanded that God show him His glory in Exodus 33:18. Therefore, we need to ask God to overtake us such that we always remember that though we are in the world, we are not of the world. We are citizens of another kingdom: God’s kingdom. Basically, we ask God to create a hunger for Him and those things that point us to Him in our hearts, things like His word and prayer time. Such a prayer is clearly in the will of God because He created us for this very purpose – that we might be close to Him and has His arms forever stretched out towards us. So He will speedily answer but the transition is not often automatic. Our response to His answer determines whether we remain in the outer courts of His glory or proceed to the inner parts of the temple. What do I mean? In line with our prayer, God will begin to stir our hearts. From time to time, we might feel a sudden urge to worship or to meditate on the word of God. If we act immediately on those urges, we make progress in our quest to be intimate with God. But if we continually sweep them aside, waiting for more convenient, more “appropriate” times, the urges will reduce in frequency and intensity till we’re back where we were before. We also need to realise that God has set some parameters for relating with Him in His word. Jesus declared in John 14:6: “I am the way, the truth, and the life: no man cometh unto the Father, but by me.” Therefore, we should receive Jesus as our Lord and Saviour and then adhere to the basic disciplines of the faith if we sincerely want to have a meaningful relationship with our Maker. Such disciplines include constant prayer, bible study, fellowship with other believers, service to God and steering clear of sin. And as His glory manifests in our lives, we will join the ranks of those who are privileged to share His secrets, who love and serve Him without reservation. That is the reality of enjoying intimacy with God. This is nice Lord pls help me to feel ur presence in my life more. Thank you LORD for inspiring her to write this. Praise God! And remain blessed, my dear! I say "Amen" to your prayers, Goodness and Victoria. May God bless you girls in Jesus' name. Thank you, Amarachi! And you have your head in the right place. You can only excel that way. Shalom! thank you dear. You are blessed! Glory to God, Henrietta! They that seek Him shall find Him whey they seek with all their hearts. So the Holy Book promises. It shall be your portion in Jesus' name. Ma, more of God's grace upon your life. God bless you! Amen. And may God shower you with His blessings too in Jesus' name. Nice one Ma. This post is just really edifying. Glory to God! 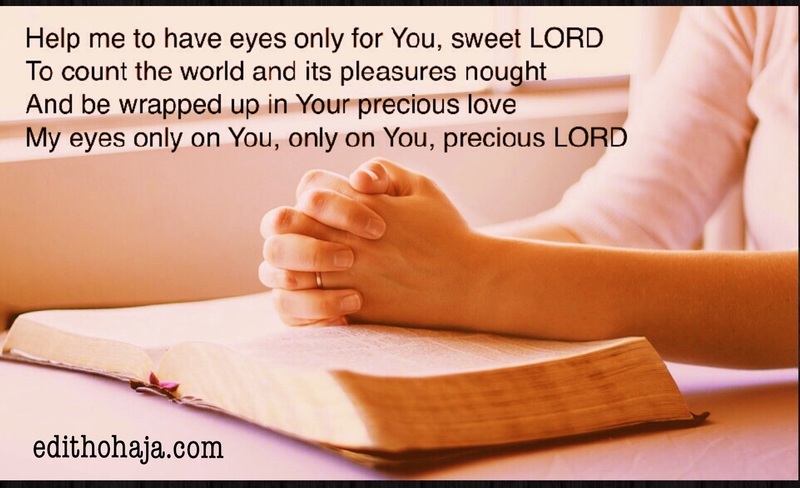 You're richly blessed, my dear! Thank you Ma for this post. Exactly what I needed at the moment. When my relationship with God is right, my relationships with others become easy. I'm really grateful for this. 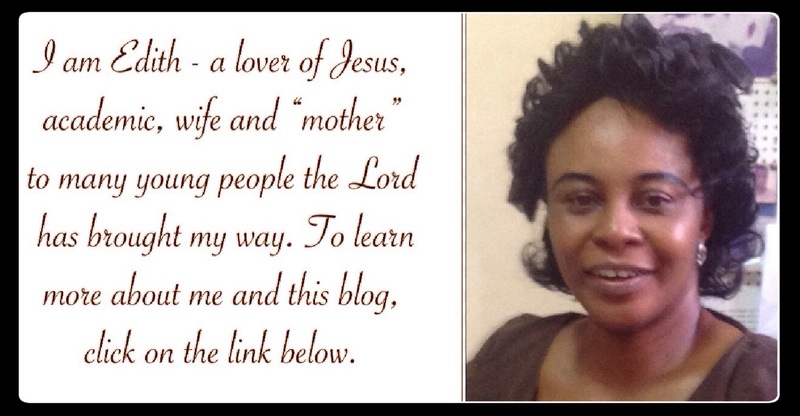 Mum, your are indeed a great woman full of wisdom and inspiration. I was really inspired by this writeup and I have come to realize how to build my relationship with God. May the almighty God renew his power in me to serve him diligently. An intimacy with God is the best intimacy one can ever have in life. Ma, like you rightly said, we can only have this intimacy when we have accepted Christ into our lives but sustaining this intimacy with our Father also requires constant study of His word and while we do this, we should also never neglect the place of prayer i.e. our secret place. our quiet time with God is vital in maintaining that intimacy with Him. God is our ever present help in times of need.most times, it may look as though He is not there or has forgotten about us but He is right there by our side giving us the strength and grace needed to forge ahead. we should learn to always wait and depend on Him, believe and trust in Himand at the set time, He will release His blessings on us for His thoughts towards us are that of good and not of evil to bring us to an expected end. According to the words of a popular gospel artist, Victoria Orenzo, if I am not burning for God, I don't know what I am burning for. If my life does not glow for God, I don't know what I am glowing for. Nothing can ever compare to the joy that comes from knowing you are busy on the Master's vineyard, basking in his unfailing love. It pays to be intimate with Christ because He helps His people and whenever you are intimate with Him He direct our every path. Wow! Ma you never seize to amaze me with your write-ups. God bless you for all the lives you change through your work. Amen. Thank you and God bless you richly too in Jesus' name. There are so many distractions and entanglements battling with our focus in Christ and just like you said ma we can only build intimacy with God when we have this unquenchable hunger for him in our hearts I pray the Lord grants us hunger that cannot be quenched by the momentary pleasures of this world. what i yearn for above all is that i be close to Jesus and do his will at all times. lord Jesus, i accept you into my life as my personal lord and saviour and i want to enjoy deep intimacy with you and become someone who knows your heart beat and will do everything to retain this trust in you. i have also learnt that it takes time to build up a relationship with jesus and that it is an everyday task not just some minutes affirmation. Set me on fire for you Lord I pray.Christ in me the hope of Glory. Lord, let my soul hunger and thirst for you. Intimacy with you is my desire. Though this is an old post doesn't mean that the contents are outdated. One of my prayer points has been to develop an intimate relationship with God. Most times we deceive ourselves by claiming to be close to God whereas we know little or nothing about him. Psalm 91:1 echoes it all. The best way to develop an intimate relationship with him is seek him earnestly and diligently in our secret place. He is always there waiting for us to come. He said that he knocks at the door of our heart, whoever hears the knock and opens the door, he's going to dine with the person. Persistence and consistence is the key.